Liz Wood from Stoke-on-Trent is taking on the challenge of the Great North Swim in June to raise funds for Macmillan Cancer Support. Liz, who was diagnosed with womb cancer in February 2017, will be swimming one mile in the open water of Windermere in the Lake District National Park. Following a routine smear, the 38-year-old, mother of two found out she had polyps in her cervix which needed to be removed. During this procedure, she mentioned to the consultant she'd been experiencing intermittent bleeding for the past five or six months, which she had put down to her intense marathon training. Liz explains, “As a precaution, I was sent for a scan and the ultrasound revealed two cysts in my womb, which were found to be cancerous when they were removed. “I always now tell women to make sure they go for their smears, because even though it wouldn't have identified the cysts in my womb, I would never have had the other symptoms checked if the polyps in my cervix hadn't been found." Liz was given a full hysterectomy in March last year using cutting edge robotic surgery. Due to the incredible precision of these types of operations, patients tend to feel better after surgery than those who have been operated on by a surgeon. As a former marathon runner and an all-round active person, she hoped this meant she would be back to her old self quickly. “I didn't feel too bad in myself, and it gave me the false impression I would be able to get back to my old routine quicker than was reasonably possible. After the recommended three months' recovery, I ended up setting myself back by attempting to train at my previous level of intensity. “I was the youngest person to be diagnosed with this specific type of cancer in Staffordshire for over three years, so the consultant was unsure how to advise me in terms of recovery, they were so used to dealing with older people who were far less active. “It was all a bit of trial and error, but in the end, I couldn't do any kind of intense exercise for six months, so instead I got back in the gym and started to do weights and strength training to ease myself in slowly. “I resented how it left me feeling, I've always been fit and active - I couldn't help thinking why did I get Cancer when I've always looked after myself, ate well and exercised regularly? “After six months, I was able step it up, but found the surgical menopause had left me exhausted and the constant fatigue meant I haven't really been able to get back into running in the same way. “I needed to do some sort of cardio, so I took up swimming just to make me feel like I could do something that got me out of breath, but wasn't as punishing on my body. Liz is swimming to raise money for Macmillan who were an invaluable source of support throughout her treatment and recovery. “My Macmillan nurse was incredible, I can't describe how good she was, she was just there. Constantly. “She kept me updated by phone, she was always there to talk to and I felt that I could ask any questions, no matter how ridiculous, when I didn't know what to expect, or what to do. Liz will be joined at the event by her whole family, including daughter Layla, eleven, who is tacking the 250m distance. “Our local open water swimming lake opens in April so I'm hoping to get back into the open water with Layla then, we're training together. 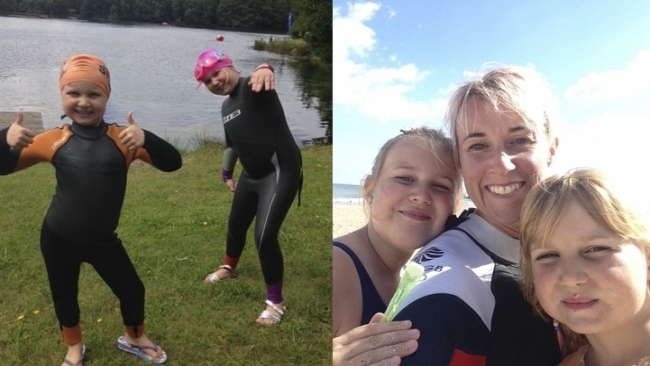 “As a family, we've been doing open water swimming regularly over the last couple of years and my daughters absolutely love it. Open water swimming is a very peaceful activity, no one can talk to you, and you have your own headspace. The Great North Swim is the UKs largest open water swimming event and takes place over 3 days from 8-10 June at Brockhole, the Lake District Visitor Centre. 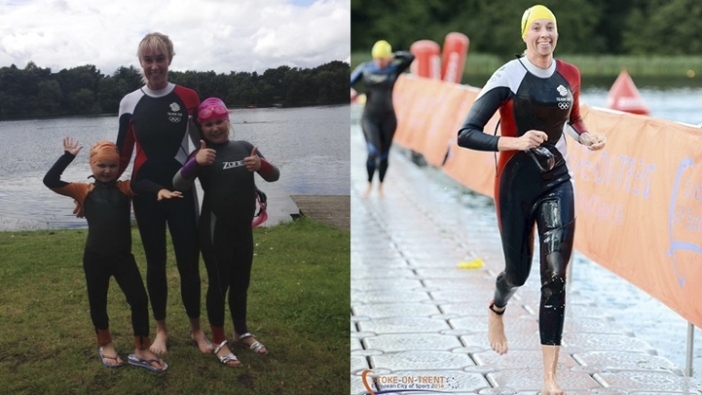 Liz and Layla will be joining thousands of swimmers of all ages and abilities who will all be taking on their own personal challenges in the iconic surroundings of Windermere in the Lake District National Park. To enter the event, visit greatswim.org/north.